Ever wondered why you are not able to achieve your desired fitness/health goal? Getting no progress while trying to stay fit can be pretty disappointing. And more often it leads to you stop trying because you are unable to achieve desired results. To be honest, losing weight can be a difficult task if you think that losing weight is a difficult task. Most of the people in this world are fit because they are not occupied with this thinking. They just follow a proper schedule, proper diet and are determined in achieving their goals. So after observing and talking to quite a few fit and healthy people, I thought I should share with you the secrets of these people. Actually, these are less of secrets but more of the habits they inculcate in their lifestyle (mostly about your eating habits) which keeps them fit and separates them from the rest. You just need to be determined in achieving your goals. This is the biggest mistake many non-achievers make, they set a goal which is impossible to accomplish. But people who stay fit keep realistic goals which they can achieve. A goal of losing 20 pounds in one week is unrealistic. Why? In a desire to lose 15-20 pounds, you will overwork and burn yourself out, and give up. What to do? It’s best to know your limits and make a goal that’s achievable within your limits. Or set a small goal. Give yourself a week to lose just 3-4 pounds. And, If at the end of the week you lose more than one, it’ll motivate you and encourage you to go on and you won’t give up. Quick Tip: You can set yourself a reward on achieving the goal, which in turn will motivate you more to carry on. Say, you go to the gym one day, go crazy on the spin bike, tired out, you get discouraged and quit, must have happened with a lot of us. What you need to know is that each person is not created equal. If something is working for someone, it’s not necessary that it will work for you. Find out what works for you. In fact, it is not even necessary to go to the gym to stay in shape. How? OK, let’s say you want to have a flat stomach without a gym. You can do a set of fifty to a hundred sit-ups and vary it every twenty sets. In simple words, after every twenty series, do a different type of sit-ups like a knee to elbow crunches or bicycle crunches. If you feel that exercise is not your cup of tea, do not worry, there are a lot of ways in which you can keep fit without exercising. For example, take stairs instead of an elevator or escalator. If the store is not far, and you only need a few things, walk there. Find a way that works for you so you can create the habit. Quick Tip: Try out different things to know what works best for you. Many people try to cut calories from breakfast and lunch and then get hungry which should not be done. In fact, research shows you should eat most of the food early in the day as this will help you eat less at night – which is a good idea since most of us won’t be physically active after an evening meal. This one is the most important change which I adapted. I made my breakfast the heaviest meal of the day and then kept on reducing the number of calories which I consumed during every meal. So eventually, dinner used to be the lightest. Begin lunch and dinner with a broth-based soup or veggie-rich salad, we prefer to have a salad. This will fill you up with a high volume of low-calorie food thereby displacing some of the foods you’ll eat next- which are usually higher in calories. You can also eat some healthy fat(around 60-70cals) like a few slices of avocado or even a handful of nuts 10 minutes before each meal. This helps activate ghrelin, a hormone that helps your body know that you’re full and prevents you from overeating. I personally didn’t follow this, as I used to do a lot of physical activity after my lunch, eventually burning up those calories. So this does not mean that even you should not adopt it. I was on the wrong path by not adopting it, so you should not do the same. Try to have a moderate meal (80-100 cals) with healthy snacks every three hours between meals. What’s the benefit? It can keep your blood sugar level steady, energy up and keep you from over-indulging. 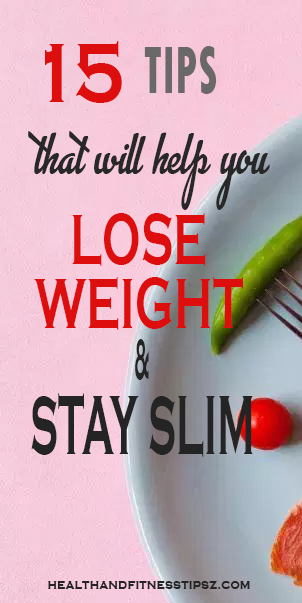 It helps in keeping your metabolism alive and active which is crucial in staying slim. Everything from beverages to sandwiches is two to four times bigger these days. So, if you grab a sandwich or eat out it is highly likely that you will be served more than what you need or what you can eat. Avoid those snacks made using white flour and sugar, like white bread, cookies, etc. It is a deadly combo as it signals your body to start producing more insulin thereby setting the stage for turning calories into fat, fat, and more fat. Remove out calorie-dense foods by filling up on fruits and veggies. Hitting that mid-afternoon slump? Reach for Bananas-they will give you the needed boost. Munching on nature’s bounty not only is a good habit but also helps you get dozens of disease-fighting phytochemicals and vitamins in your body. Start by eating an extra serving of fruit and vegetable in a day. The biggest fiber source: Beans. Just a cup of black beans will fetch you nearly 14-15 grams of fiber. Research shows that people often make adjustments to eat lesser calories over the course of a day after eating some solid food such as candies but not after they drink the same amount of calories in a soda glass, and if you want to replace these drinks with their calorie free versions, rethink it. Some research also suggests that people drinking low or zero-calorie drinks may actually end up eating more. The best thirst reliever and a dieter’s best friend is still the plain old H2O. But If you drink anything with calories like fruit juice, sweetened coffee or tea, you should adjust your diet accordingly to accommodate these extra calories. Everyone knows water is one of the easiest and quickest ways to help you lose weight but still a vast majority of people fail. Why? Because they don’t know how much water they should drink as even excess water intake is also no good for the body. You might be wondering now what should be optimal water intake when you are trying to be healthy or lose weight? Well, it mainly depends on the gender among other things. Being a man, you should consume around 116 oz (or 14 cups) and For women, it is a little less with a water intake of about 82 oz (or 10 cups). When I started this habit, I had trouble following it or keeping up the motivation to complete my water intake for the day. And the advice I got? Keep a container with measurements for drinks (it does not have to be expensive), fill it, keep it at a place where you can see it and reach easily so you can drink from it throughout the day. It is an excellent way to track your progress and know your exact consumption. Personally, I have been using Nalgene HDPE 48oz. bottle for the last 2 years. Plus, its made in the USA, as you can’t rely on Chinese made bottles no matter the price. It’s BPA free, durable and quite economical at just $12. Click here to buy from Amazon now. Warning: Since water is highly helpful in weight loss, you might think consuming fruit juice and soda will be the same. But the fact is, soda and juice have a counter effect on weight loss because of added sugar. According to research, even diet soda can go against your weight loss due to its interference with the brain’s response to sweet substances. Your caloric intake should come from food, not from beverages. Quick Tip: As per Ayurveda, after waking up the first thing you should drink is some cups of water instead of coffee. Along with hydrating you and burning more calories, it also flushes out the toxins out of your body. All calories are not equal. You may think you are doing a favor by eating cereal bar because it claims to be a healthy snack. And even if they are not as bad as French fries or soft drinks, they still contain processed ingredients that prevent you from losing weight. Do one thing while buying, just check the back for ingredients. If you see a number of names that you don’t know, chances are, it’s not a healthy option. Many people think or get advice that they should minimize the calorie intake per day. A reduction in caloric intake may give positive physical changes at first, mainly weight loss. However, a daily decrease in calorie intake is not good and can lead to fatigue and food obsession due to extreme hunger which impacts negatively over time. It’s always the best thing to have the right amount of calories as per your body type and get knowledge on the right amount calories you should be consuming (what you should and should not be eating). And this ends up craving the question amount of calories you should consume. Well, your calorie intake depends on many factors like your gender, weight, height, age, and how much active you are. Hopefully, there are many tools outside there on the web or in apps that will give you an estimation of calories depending on how quickly you want to lose weight. Quick Tip: Many of the people who stay fit even celebs have a cheat day. This means you don’t need to cut out everything that you like, but if you have something you like once a week, it won’t kill you. And if this isn’t something that appeals to you, then eat things in moderation. So it’s ok to sometimes have that pizza, just make sure it’s not large and don’t have it every day. Walking is very beneficial in maintaining or losing weight. so start walking to keep the weight at a bay, the goal is to take 10000 to 11000 steps(around 80 minutes) a day. There is no need to do it all at once. Start with 2000 steps a day or around 15 mins of walking. Add another 5 mins (500 steps) each week. There are many other sneaky little ways as well to add more steps to your day like walk while you talk on the phone or get up and walk during TV commercials. Brush your teeth right after dinner instead at bedtime. You must be an irresistible snacker in the evening but you won’t like messing up freshly brushed teeth. Your mind is a secret weapon in your quest to weight loss. And having a right mindset is absolutely critical, no matter what you want to achieve.No doubt, you want to look great, but one thing you can do is to inculcate a habit of thinking about how you feel, change your perspective. what will it do? It will take you past the superficial side of having great looks and will help you focus on future rewards such as a higher endurance or better health. So, don’t make appearance your focus, make a better life as your focus which you will be able to live. Because if we only focus on how we look, we won’t always succeed as the moment we see others that look better than us, it’ll discourage us from even attempting to push ourselves or even continue with the present workout. Though not everyone is like this, many lose the motivation just on the basis of end result on how they look or say their appearance. However, this is not always the case, so you should focus on the present feelings and the ways in which you will benefit later on in the future. Now we hope this post is useful, but if there is something that we didn’t cover for which you’d like to know more about, email us or let us know in the comments below! We’d be glad to answer you.